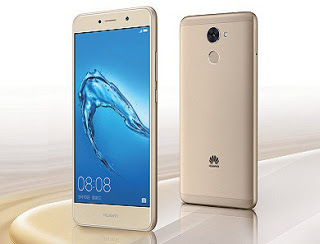 Just few months back the Huawei Y7 was released , and a new flagship has been launched called the Huawei Y7 Prime. The Huawei Y7 Prime comes with a metal body , sports a 5.5 inches display screen and supports 4G LTE . The Huawei Y7 Prime also features a 3GB RAM in addition to a 32GB inbuilt memory and runs on Android 7.0 Nougat. In addition it has a unique finger print scanner and backed up with a 4000 mAh battery capacity. Check out more of it specs below. Share This Post Using The Share Buttons Below..
Nice phone specs, the phone got everything nice one.